Nairobi senator Mike Mbuvi Sonko last night pulled a surprise when he stormed the fund raising meeting to offset funeral expenses for the late Homa-Bay Senator Otieno Kajwang’ and contributed Sh1m in cash. The harambee at KICC Nairobi which raised Sh6m produced fireworks but it was Sonko who stole the show when he arrived in style just minutes before the harambee was declared closed. As if he was waiting from his roof top KICC office and as if he was monitoring events from the comfort of his office, Sonko walked into the harambee room armed with new bank notes of Sh1m and handed to the MC. His arrival was met with thunderous chants of Sonko, while others fondly called him “Nairobi One” as he is nowadays fondly known among Gor-Mahia fans after he contributed Sh1.2m to the club during a fund raiser in Nairobi. 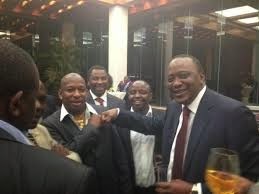 Back to the harambee, Sonko’s generous contribution sent cold shivers down the spine of ODM leader Raila Odinga who according to the programme was the chief guest and following the challenge from Sonko, he also contributed Sh1m and Nairobi Senator Evans Kidero Sh200,000 among others. Politically speaking, like him or hate him, Sonko has proven to be a leader without political, religious or ethnic boundaries. Knowing so well that he represents a cosmopolitan county and having enjoyed overwhelming support across the political divide, Sonko has always served Nairobians without fear or favour. His support for the less fortunate in the society, paying school fees for the poor, supporting victims of disasters, fundraising for women and youth groups as well as churches has put Sonko in his own political class that has remained unchallenged not only in Nairobi but nationally. Calls by his supporters to force him run for Nairobi gubernatorial seat come 2017 has been the talk among many political leaders. But surprisingly, Sonko has always kept off the debate and maintains that Nairobians elected him to serve them for 5 years as Senator and insists its time to deliver on the promises they gave the electorate and that come 2017, it will be the voters to decide in what capacity he should serve them. At one time he told reporters that come 2017, if Nairobians asks him to vie for MP or even MCA he is ready to respect their views because he is their servant. 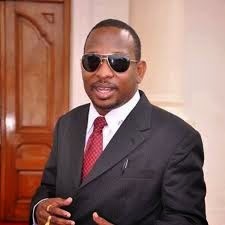 But even as Sonko continues to keep his supporters guessing as far as 2017 elections are concerned, the writings are on the wall, he started as a political green horn during the Makadara by-election in 2008 and has built a political empire that cuts across the political and ethnic divide and is now a brand name in Nairobi politics. The self-styled flamboyant politician is known to be the darling of the youth, a down to earth leader, accessible and the talk on the street is that if Jubilee wants to grab the gubernatorial seat from ODM in 2017 then Sonko is the best bet. His entry in Nairobi politics completely changed the political terrain and is now the man President Uhuru Kenyatta and his Deputy William Ruto relies on to deliver the Nairobi votes to the coalition come 2017. He is indeed a politician whom one can only ignore at his or her own peril.